GROOVY BABY MUSIC - LEARN MORE ABOUT RHYTHM KIDS! 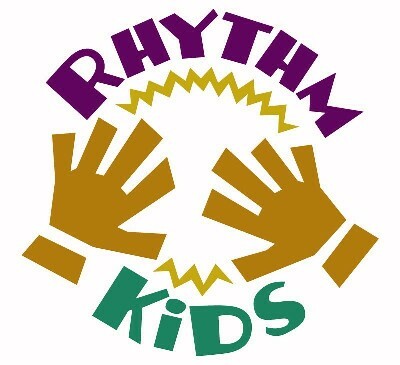 LEARN MORE ABOUT RHYTHM KIDS! New & Improved RHYTHM KIDS™ coming soon! Music Together® HQ has re-vamped the Rhythm Kids curriculum to make it better than ever! Our teachers are getting trained and certified in this new method, and we look forward to sharing it with you this Winter! CONTACT US! to find out about Rhythm Kids coming to your Preschool! RHYTHM KIDS™ was created and developed by musician, composer and percussionist, Tom Foote with more than ten years of in-class research with children of all ages. Tom noticed that many children stop taking music classes between the ages of 5-9 because they aged out of "Mommy & Me" classes and they weren't quite ready for private instruction. Rhythm Kids is designed to help children integrate and assimilate rhythm into their lives. With this in mind, RHYTHM KIDS™ began to offer a program that would combine musical concepts in a way that would keep children engaged, and actively participating in music, for as long as possible. The drums were chosen because of their accessibility (ease of use) and their ability to be used in various ways. Most importantly, it had to be FUN! Although we bring drums to class, RHYTHM KIDS™ is way more than just a drumming class with our main focus being to develop rhythm using: the voice, the body and the instrument. 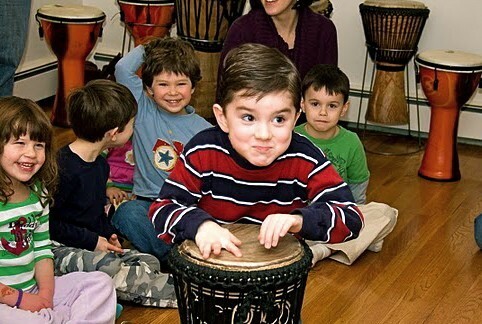 Our class format and activities strengthen and draw out a child's natural sense of rhythm while they have FUN! RHYTHM KIDS™ is a three year curriculum and the rhythm patterns are adapted from cultures all around the world including; Ghana, Puerto Rico, Morocco, Mali, Guinea, Columbia, Senegal, Nigeria and many others. The benefits of music in a child's life are long lasting and we hope our classes will bring music and happiness to your child, to your family and to your community for many, many years! WHAT ARE RHYTHM KIDS™CLASSES LIKE? LEARN MORE ABOUT RHYTHM KIDS™ FOUNDER! 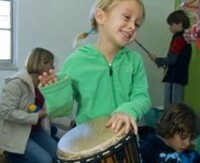 PARENT NOTEBOOK ARTICLE ON THE BENEFITS OF RHYTHM KIDS™!